MFD- What is it and why do we use it? The traditional way of using Cupping is following the meridian lines in the body. The cups are placed along these particular lines to cause change within the body (either in tissue or targeted to specific organs) by unblocking Qi. In contrast, MFD is built on these principles, but used specifically to treat the fascia and muscles following fascial lines across the body. Fascia is a specialized system of the body that has an appearance to a spider's web or a sweater. It is very densely woven, covering and interpenetrating every muscle, bone, nerve, artery and vein, as well as all our internal organs including heart, lunges, brain, and spinal cord. It is the 3D “glue” that holds everything together. MFD is used in conjunction with movement of the body or movement of the cups during treatment to effectively break down adhesions or scar tissue in the fascia. Most manual therapy techniques utilized in physical therapy are compressive in nature (soft tissue mobilization, myofascial release, joint mobilization, Graston® etc.) MFD works in the decompression of adhesions; reducing inhibitions of fluids and nutrient exchange. It is effective in decreasing stiffness and pain, improving tissue health and increasing mobility. What are the differences between Myofascial Decompression Techniques and cupping? MFD is based on assessing and correcting movement inefficiencies. Backgrounds in biomechanics, kinesiology, and functional anatomy are essential to identify and treat ROM restrictions and muscular imbalance. Interventions include neuromuscular re-education, AAROM, and PNF, making the patient an active participant in their treatment. Traditional cupping does not include active movement, and often is targeting energetic imbalances from a traditional Chinese medicine perspective. MFD is a novel approach to musculoskeletal treatment, utilizing negative pressure tools and western medicine based movement paradigms and algorithms. These applications are very effective for orthopedics, sports medicine, contractures, post-op recovery, overcoming dominance strategies, postural syndromes, hand therapy, neuro re-education, and scar mobilization. MFD isn’t the best treatment for every patient, but there can be some significant benefits which are difficult to achieve with other manual therapy techniques. It is just one more “tool in the toolbox” that our therapists use to assist our patients, as we constantly search out and learn new techniques to provide the best care possible. 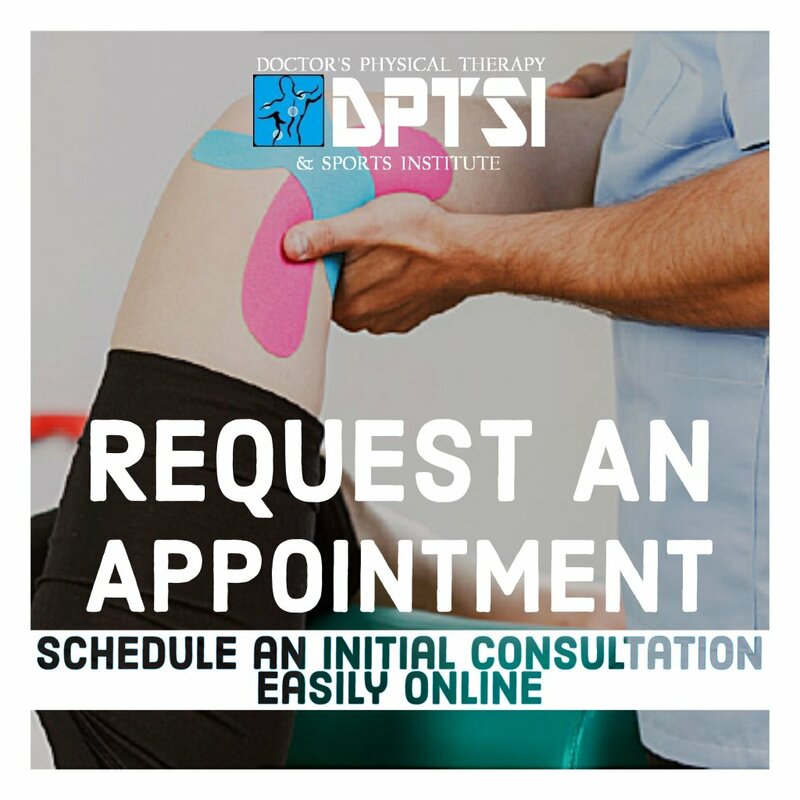 DPTSI offers pain relief and wellness services with Myofascial Decompression. Goodbye knee pain! It was nice to know you. Sincerely, healthy athlete. Explanation of what Myofascial Decompression is, how it works, the difference from cupping, and the current evidence. 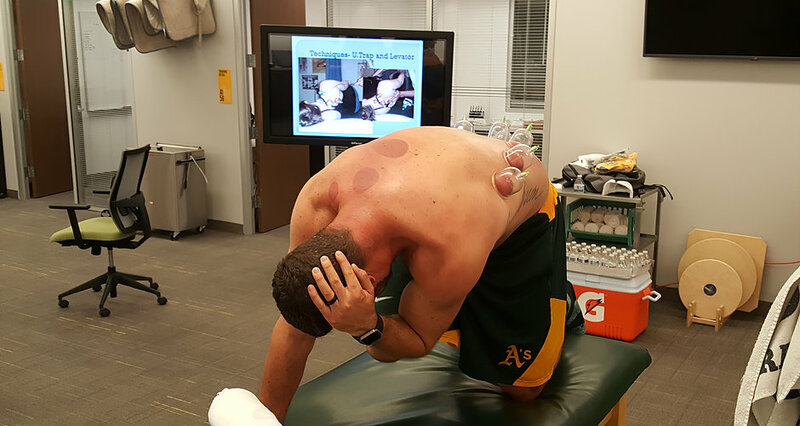 Turns out Michael Phelps and his pals at the Maria Lenk Aquatics Centre aren’t the only ones who use “cupping” therapy that leaves large purple dots on the body and has created curiosity among fans. The therapy also is popular among members of the USA track and field team, according to Ralph Reiff, a sports performance expert who said he has worked with more than 100 members of the current U.S. Olympic team. The dark, round splotches that attracted attention at the Olympic games in Rio are from cupping. Cupping is an ancient healing treatment. Its a therapy where heated cups are placed on the body which creates suction. This suction stimulates blood flow in the muscle layer which helps in treating inflammation and helps the muscles to move freely. However, many are skeptical of the benefits of cupping as it's not scientifically proven but those getting this therapy are quite satisfied with it. While the effects of cupping are disputed, U.S. Olympic swimmer Michael Phelps did win his 19 Olympic gold medal, but individual results may vary. ​MFD Treatment Used On USA Athletes in the 2016 Summer Olympic Games. Why is fascia so important in regard to movement? 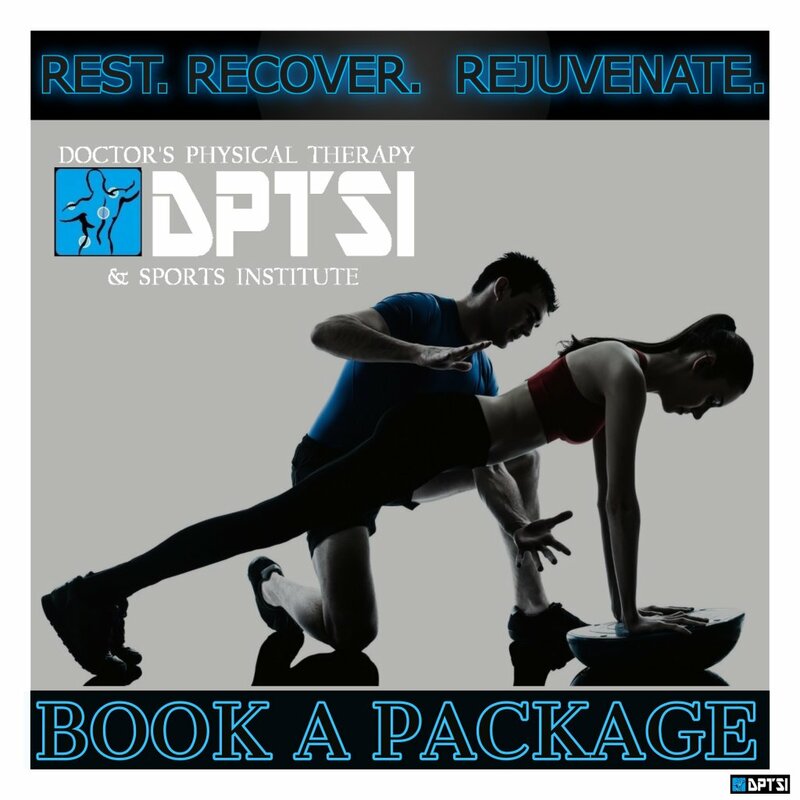 Call us to set your appointment and do not forget to take advantage of our great DPTSI Promotions!